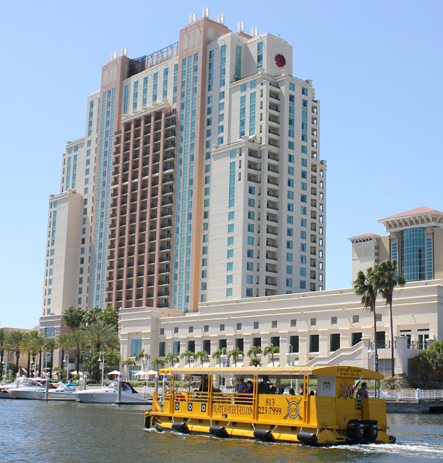 4/19: Due to weather, Pirate Water Taxi service is suspended until 7:00 PM. 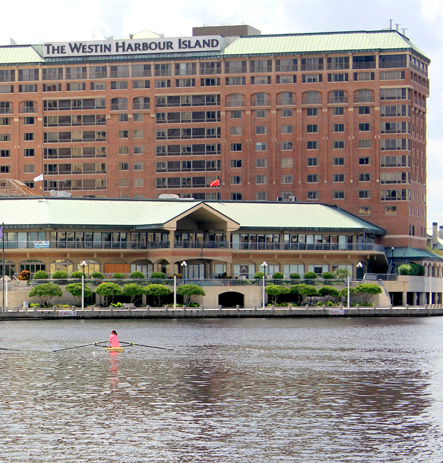 Experience the style, preferred amenities and unbeatable location of The Westin Tampa Waterside. Recently undergoing a $18 million transformation, our newly renovated accommodation seamlessly blends modern luxury, intuitive guest service and an inviting atmosphere. 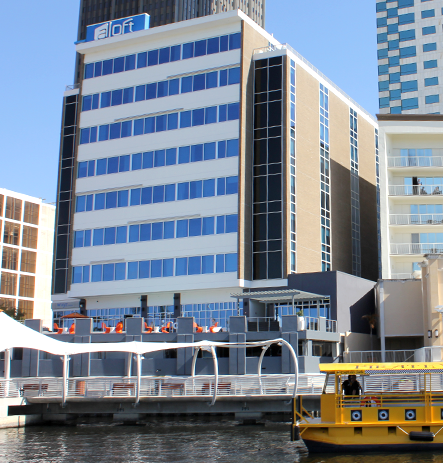 Perched on the waterfront in downtown Tampa, our hotel is the ideal choice for vacationers and business travelers alike. 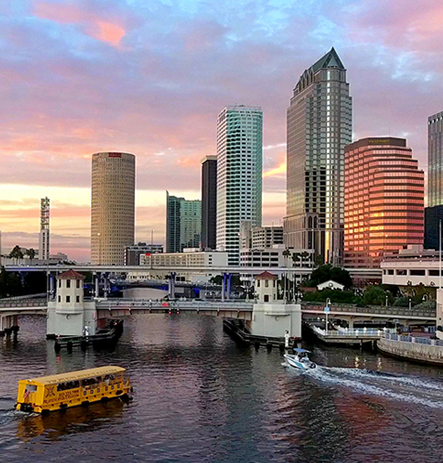 Experience Tampa’s dynamic downtown with a stay at Tampa Marriott Water Street Hotel & Marina. Our beautifully transformed, waterfront hotel sits adjacent to the Tampa Convention Center and is steps from the Tampa Riverwalk, Florida Aquarium, the evolving Sparkman Wharf and Amalie Arena. 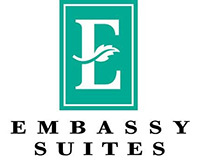 Nestled in the heart of Downtown Tampa, Embassy Suites Tampa Downtown Convention Center welcomes you to a newly renovated, vibrant, and contemporary guest experience. 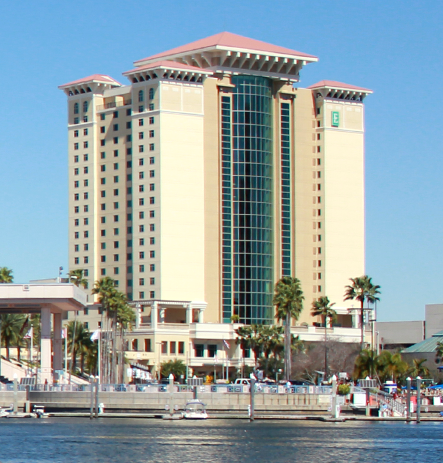 Connected via sky-bridge to the Tampa Convention Center, our all-suite hotel is within easy walking distance to attractions such as the Florida Aquarium, Sparkman Wharf and the Tampa Riverwalk. 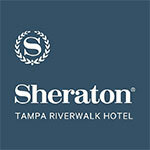 Experience the modern style, trip-enhancing amenities and ideal location of Sheraton Tampa Riverwalk Hotel. Set along Tampa’s vibrant Riverwalk, our waterfront hotel allows guests to easily explore Tampa’s thriving Water Street District or historic Ybor City neighborhoods. Celebrate your style at Aloft Tampa Downtown, a hip new hotel that’s steps from museums, parks, restaurants, nightlife, sports and shopping. 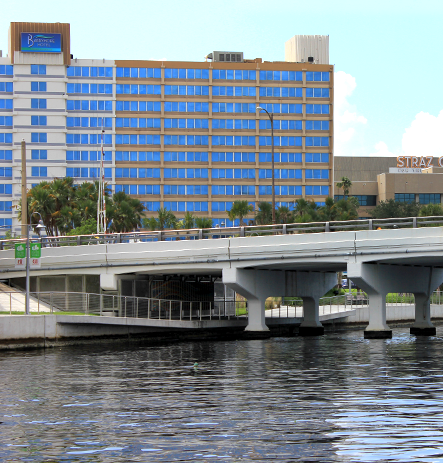 We offer easy-breezy access to the Riverwalk, the Tampa Convention Center and the Amalie Arena. Our convenient location places you just minutes from a wealth of downtown shops, restaurants, bars, nightlife, and major businesses like Tampa Electric (TECO). Enjoy easy access to popular destinations like the Port of Tampa, Ybor City and Amalie Arena -home to the Tampa Bay Lightning. NEWLY RENOVATED! Welcome to the Courtyard Downtown Tampa hotel! Located in the heart of downtown near the Straz Center for the Performing Arts, we are here to make your stay in Tampa most enjoyable. 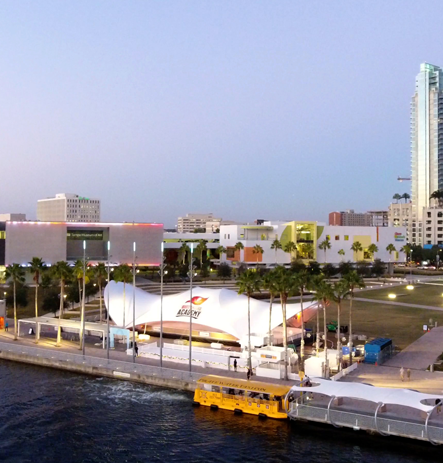 Just a few blocks from our downtown Tampa hotel, you will find the Tampa Convention Center, Cruise Terminals, Amalie Arena, Port of Tampa, Ybor City, Florida Aquarium, and Tampa General Hospital. Travel with confidence when staying at the Residence Inn Tampa Downtown hotel, where stylish suites provide relaxing comfort so guests can focus on the business at hand. Designed to provide the comforts of home, our studio, one and two bedroom suites have plenty of room so Florida travelers can unpack and make the most of their travel time. Part of the National Register of Historic Places, the century-old Historic Federal Courthouse has been transformed into Le Méridien Tampa. Stunning architecture juxtaposes with modern touches in the arts and entertainment district of downtown Tampa. Contemporary facilities include a business center, pool and a 24-hour fitness center. 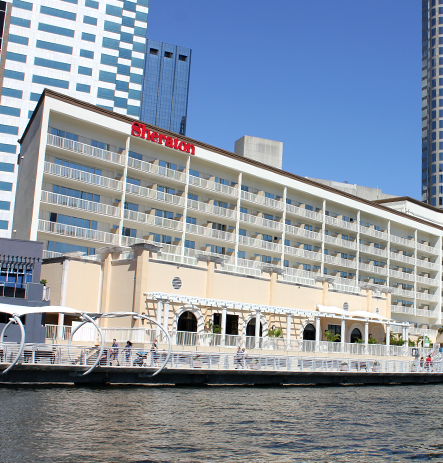 The hotel is honored with the only 4 Diamond designation in Downtown Tampa! Welcome to the Floridan Palace Hotel, located in the heart of downtown Tampa. Built in 1926, this nineteen-story hotel has been brought back to its original grandeur. Indulge yourself in old-world charm met with the modern comforts of today. With an eye for detail and a dash of flair, flawless service and luxury awaits you at every turn. The Barrymore Hotel Tampa Riverwalk is located near Amalie Arena, Tampa Convention Center, Armature Works, Curtis Hixon Waterfront Park, Tampa River Center, and moments from Busch Gardens Tampa, Adventure Island water park, and many more popular destinations around town. Our highly desirable location and free downtown shuttle make The Barrymore an easy choice when looking for Tampa hotels.